In this tutorial you will learn about Link Velocity & Its Effects On A Website. SEO folks are just eager to rank their sites in Google by means of any tools & tactics whether they are fruitful or not in long terms, but they haven't realized the most important basic as well as the building block or pillar of SEO i.e. LINK VELOCITY. Link Velocity is the fundamental key to rank websites, but only if utilized properly. Positive Link Velocity: It is measurement of the quantity of backlinks that are effectively indexed in a specific period of time. Negative Link Velocity: It is the no. of links that are de-indexed/destroyed in a specific period of time. Link Velocity can be used effectively & optimally but only if you know how to use it. a) Inbound links are always good for a website but only if they are of high quality. b) Always remember, the better the Link velocity of your website means better are the chances in gaining top rankings in search engines. c) But it doesn't mean that in attempt of attaining better & high link velocity rate you are adding backlinks in bulk, low quality or spammy backlinks to your website as by doing this your site will be directly penalized in search engines. d) Link velocity is mainly focused on Off-page optimization as it mainly comprises of the rate of backlinks that are associated to your site. 1. Drip Feeding is a steady method of creating regular backlinks for a website instead of making a single massive backlink pattern (like 50-100 backlinks on same day). 2. On an average 3-4 High Quality Backlinks per day to your website is quite sufficient. But you have to make sure that the backlinks are of high quality & are relevant. 3. The main Aim of Backlink Drip Feeding is to stay protected form Google’s Penalties & Updates and at the same time building an organic backlink profile. 4. By following this pattern you can easily control Link Velocity effectively & at the same time your site will be safe from all the Google updates & penalties. You can also follow our recommended Anchor Text Usage & Distribution Guide to build High Quality & Relevant Backlinks. After discussing the link Velocity it is also vital for you to realize that what type of backlinks you should build for your website. There are some basic things to keep in mind when building backlinks. 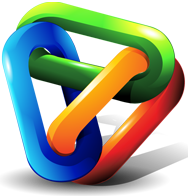 Backlinks that are organic, unique & non promotional are loved by search engines. Keeping your daily backlinking limit between 3-4 is also a good idea to avoid Sharp Link Spikes or Negative Link Spikes in link building. For Example: If you are giving 3-4 backlinks on daily basis to your site from past six months and all of a sudden you give 50-100 backlinks to your site on a single day or weekend, then Google bots will definitely recognize that there is an inconsistency present. The term “Link Spikes” usually describes unnatural link patterns that Google uses to penalize spammy & bulky link builders. Positive as well as Negative Link Spikes in your link profile can put you in big trouble. As you can see in the above Positive & Negative Link Spike Graphs that how bulky increase & loss of links can create problems for you. Do not over optimize your Off-Page process. Strictly avoid Low and spammy networks. Try to build Strong On-Page factors of your website. Emphasize on Unique & High Quality content. Remember: Google loves high quality & fresh content and those who are capable of creating it should never let fears about link velocity to stand in their way.